﻿Ben Crabtree is the Fantasy Premier League champion for 2016/17 having completed his ascent to top spot on a dramatic final day. His march to the title was timed perfectly. Edging into the top 10 in March, Ben produced three superb final Gameweek tallies to move from fourth to claim first position over Sunday's matches. It was Uwais Ahmed who led by only two points heading into the Gameweek 38 deadline. But his decision to make two transfers and spend four points in the process meant Ben took an early lead. With two free trades at his disposal, Ben made a bold move. He marked Chelsea’s Diego Costa (£10.4m) as a key final-day player and brought the forward in for the injured Sunderland striker Victor Anichebe (£4.3m). To free up funds, Ben sacrificed Eden Hazard (£10.5m), the Chelsea winger making way with AFC Bournemouth’s Junior Stanislas (£4.6m) drafted in as the makeweight in the Costa deal. But it was Stanislas, not Costa, who was to prove Ben’s most vital signing. With Stanislas's team-mate Joshua King (£6.2m) in Ben’s starting XI but out through injury, Stanislas came off Ben’s bench as a substitute and the midfielder’s nine-point return was decisive. Indeed, Stanislas got the ball rolling for the triumphant Ben. He opened the scoring for at Leicester City, a first goal of the day that extended Ben’s lead over Uwais. Things got better for Ben from that point, as Tottenham Hotspur’s Christian Eriksen (£8.9m) and Manchester City’s Leroy Sane (£7.7m) added first-half assists. However, the tussle at the top intensified as Uwais staged a dramatic comeback early in the second half. 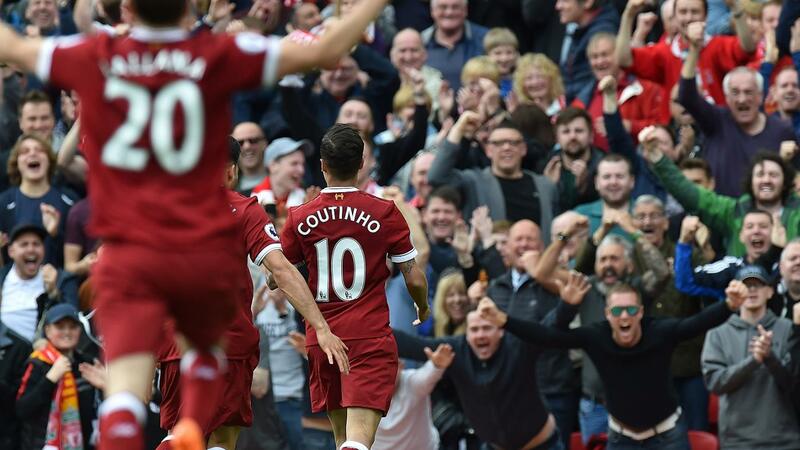 Goals from his two signings – Liverpool's Philippe Coutinho (£8.7m) and Adam Lallana (£6.7m) – put Uwais back in front. But Spurs left-back Ben Davies (£5.0m), struck a killer blow for Ben. His long-range effort in a 7-1 defeat of Hull City produced another six points that swung matters back in his favour. While a late Cesc Fabregas (£7.0m) assist – his second in Chelsea’s 5-1 win over Sunderland – helped Uwais rally, the nine points from Stanislas on Ben’s bench sealed a 97-point total to edge out Uwais’ 94. Ben had moved from fourth to first over the final three Gameweeks, and Uwais, who initially claimed top spot back in Gameweek 29, had been toppled on the final day. Our congratulations go to Ben and runner-up Uwais for providing such a close-fought and tense title race. As the Fantasy Premier League champion, Ben wins a range of prizes including VIP hospitality at two Premier League 2017/18 matches of his choice, including travel and 2 nights’ accommodation. We will have a first exclusive interview with Ben to come later today.